Copper Place is a very nice, very cozy assisted living facility. The facility is open and spacious, with a lot of natural light pouring onto the common areas that are simply, but beautifully decorated in comfy furniture and sitting areas for residents and visitors to relax and socialize. The staff members are always so welcoming and they do an amazing job in maintaining a clean, well-functioning facility while ensuring that each resident is happy and well cared for. The residents all seem to love living at Copper Place, I am always being told by residents that they have a lot of fun living there – they say that there is always something going on for them to participate in – some fun activity or program, live entertainment, enjoyable event/party or some special field trip/outing, etc. The apartments are also very nice – they are well-designed in a way that creatively uses the available square footage to make the apartment’s look and feel open and spacious, with creative storage places and great kitchen areas. The apartments, whether you choose a Studio or One-Bedroom, are also very handicapped accessible as well. You will love Copper Place – out of the few choices of senior living options available in Yuma, AZ, you would be hard spent to try and find any place better than Copper Place. Copper Place is a poorly managed facility. They refuse to return unearned boarding fees when patients pass away. They refuse to return calls or answer correspondence. Corporate policy is seriously lacking integrity. The best way to get to know a community is by scheduling a tour. See the facilities, meet the staff and residents, and get a feel first hand what it's like to live at Copper Place Assisted Living. Copper Place is nestled at the base of the scenic northwestern foothills of the Sierra Madre Occidental only a short distance away from the bustling city of Yuma with its shopping malls and golf courses. At our state-of-the-art assisted living facility, our highly trained staff are proud to provide exquisite care for seniors who require a little extra help with life's daily activities. Enlivant is proud to be involved in the management of Copper Place. Teamwork, compassion, excellence and success are the four cornerstone principles that guide the staff and executives at Enlivant. Our residents appreciate the gorgeous views and well-maintained walking paths of Copper Place. We take pride in the welcoming décor and furnishings of our facilities, and each resident in our friendly community enjoys their independence while living in our modern studio or one-bedroom apartments. Residents of Copper Place may enjoy a good book in our library area or relax a bit in our spa room. Our computer room is a great place for connecting with out-of-town family and friends, while outside, our gardening area and courtyard are great for enjoying Arizona's warm weather. Copper Place of Yuma offers assisted living at its best thanks to the wide variety of programming and services provided to residents. Our professional caregivers give one-on-one care for residents who require it, including dispensing medication, help with bathing and dressing. 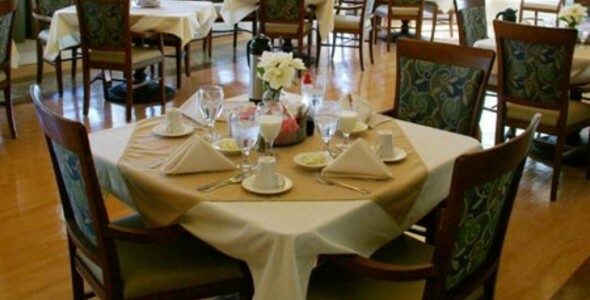 Residents savor the flavors of the nutritious meals prepared by a registered dietary nutritionist. It is our goal to give seniors the dignity and respect that they deserve, while maintaining the feel and comfort they come to expect in a home. As our mission at Copper Place is to offer independence and dignity, in addition to one-on-one assistance as requested, we work diligently to make sure our residents have the best care available.